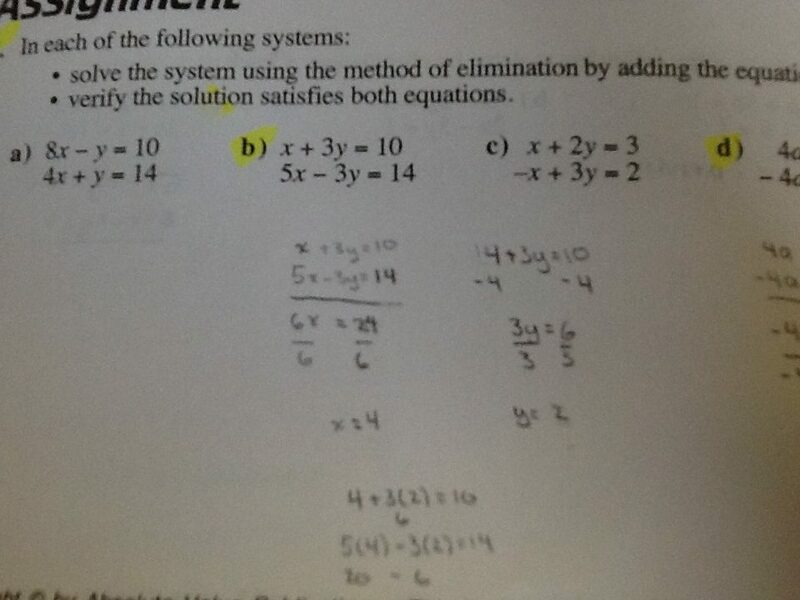 this week we did system of linear equation substitution and elimination. System of linear equation is where you take two sets of linear equation and trying to find the point on where would they cross or meet. to solve this system you could either substitute or eliminate. Substitution is where you take one set of equation and try to isolate a variable and then insert that on where your isolated variable is on the other set of equation to find the value of that variable. And also do this vise versa to the other variable to get the value. 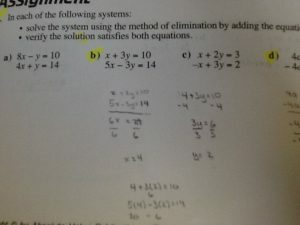 The elimination method you either add or subtract the equations to get an equation in one variable. You have to “cancel out” one variable to get the other variable, after you insert what you got into one of the set to get the other variable and now you have the coordination of where the linear would meet. For this one I used elimination and subtracted from both equation the 3y and from there on I had the answer x=4, then I inserted it to one of the equation to where there would be an x to replace it and solve that equation and I had an answer of y=2. So the coordinate they would meet or cross is in (4,2). that is what we learned this week on systems of linear equations.